Dr. Maima is a Fellow of the East Africa Social Science Translation Collaborative (EASST). He is currently an Assistant Professor of Pharmacy, Pharmacy Program Leader & immediate former Dean of the School of Pharmacy & Health Sciences at the United States International University (USIU) - Africa, Nairobi Campus. He has recently represented the Kenyan Academia at the first International Pharmaceutical Federation (FIP) Global Conference on Pharmacy and Pharmaceutical Sciences Education held on 7-9 November 2016 in Nanjing, People’s Republic of China. He is a Pharmaceutical Analyst and Community Health Specialist; Registered Pharmacist in Kenya & Good Standing Member of the Pharmaceutical Society of Kenya. 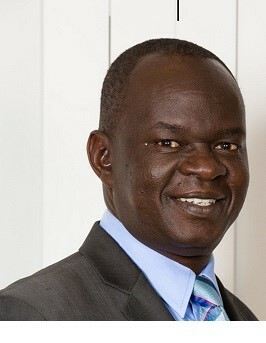 He is also a member of the International Pharmaceutical Federation (FIP); Fellow of East Africa Social Science Translation Collaborative (EASST); and a holder of the United States FPGEE (Foreign Pharmacy Graduate Equivalency Examination) Certificate. He has been a member of the Training and Assessment Technical Committee of the Pharmacy and Poisons Board of Kenya since the year 2012. This committee advises the Board on standards and policies for curricula, training, assessments and registration of Pharmacists and enrolment of Pharmaceutical Technologists. Since December 2018, Dr Maima was appointed to the membership of the Experts /Specialization Committee of the Pharmacy & Poisons Board of Kenya. He is also an Editor and Scientific Reviewer with the Pharmaceutical Journal of Kenya. PhD in Community Health and Development, Great Lakes University of Kisumu (2016). Master of Pharmacy in Pharmaceutical Analysis and Chemistry, University of Nairobi (2006). Bachelor of Pharmacy, University of Nairobi, (1989). 4. Mwangi, W. W., Karimi, P., Maima, A., Githinji, C., Fatumad, Abdallah (2016). Factors influencing the Management of Non-Hodgkin’s Lymphoma in children at Kenyatta National Hospital. The Pharmaceutical Journal of Kenya. Vol. 23 (1), 2016. 6. Maima, A.O., Okalebo, F.A., Kaseje, D.O. (2015). Data collection for disease burden studies using smartphones. The Pharmaceutical Journal of Kenya. Vol. 23 (1), 2015. 7. Nassali, H., Karimi, P., Nyamu, D., Guantai, E.M., Maima, A.O., Kajungu, D., Kirui, J. (2015). Evaluation of Prescribing Practices in Kenyatta National Hospital. The Pharmaceutical Journal of Kenya. Vol. 23 (1), 2015. 11. Maima, A.O. (2014). Does plant Biopharming hold the Future for the African Pharmacist? The Pharmaceutical Journal of Kenya. Vol. 22 (1), 2014. 12. Muniafu, M.M., Kipkore, K.W., Maima, A.O., Kwena, M.O., Kahindi, J.H.P. (2014). Survey of Medicinal Plants used by the Giriama of Kilifi County, Kenya. The Pharmaceutical Journal of Kenya. Vol. 21 (4), 2014. 1. Policy Guidelines on Pharmacy Specialties and Recognition (2014). First Edition. Pharmacy and Poisons Board of Kenya. 2. Guidelines for Evaluation and Assessment for Enrolment of a Pharmaceutical Technologist (2013). Second Edition. Pharmacy and Poisons Board of Kenya. 3. Guidelines for Evaluation and Assessment for Registration of Pharmacists (2014). Second Edition. Pharmacy and Poisons Board of Kenya.